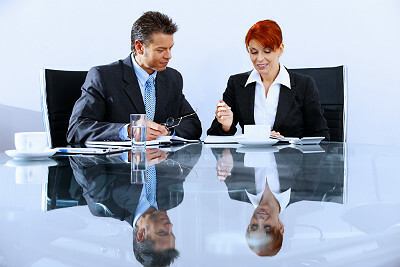 When we think of mentors, the image is one of a more senior person sharing his/her vast knowledge with a junior person. Employees, coaches, moms, leaders of any kind — all can be mentors if they have more experience than the person being mentored. But where is the line between mentoring and cooperating? At work, we tend to participate in one of two kinds of teams: functional and cross-functional. A functional team might be the HR department in which everyone works in some discipline of HR to further the overall HR goals. A cross-functional team is more likely to focus on a finite project that requires the skills of multiple disciplines to accomplish — like a team with representatives from each department working to draft the values of the organization. In both cases, the team members share knowledge and work together to further a greater purpose. They are also all working toward a common goal that benefits the entire group. It is not a zero sum game in which their gain requires a loss somewhere else. In this way, it is similar to the mentor-mentee relationship. Mentors want to give back by sharing their knowledge with someone more junior. Both sides benefit from working together. If a mentor shared all of his knowledge with a mentee who then became his equal, would he do it all over again if he could travel back in time? According to my colleagues: No. The latter believe we are all competing for a finite sum of resources. The former believe there is more than enough for everyone. Similarly, we collectively buy into the idea that mentors must be more senior because they not only gain by helping someone junior to them, but they also have nothing to lose. The mentor-mentee relationship considers people working in the same role are dealing with finite resources and thus cannot share as openly as those working collectively toward a greater purpose. "Why would I help my colleague become better than me? She may get the bigger raise, the faster promotion or better projects." But isn't it possible that raising the standard for the role is the greater goal, and by helping each other become better we all become better? Fostering this type of mentoring environment results in employees who share openly, push each other to be better and feel compelled to do it. If all employees act like mentors to each other, helping each other advance in new ways, the employees and the employers win.